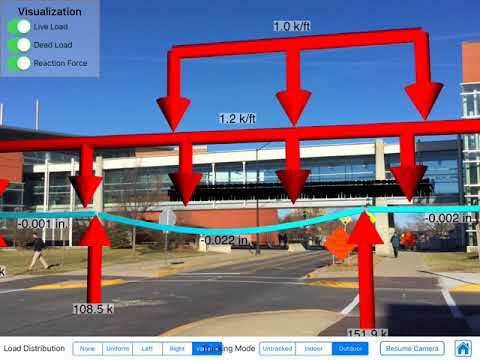 This is an iPad app for helping students learn structural analysis concepts. A model of the building is overlayed on top of the camera feed, providing an augmented reality experience. The model can be interacted with by changing loading forces and seeing the reaction forces. 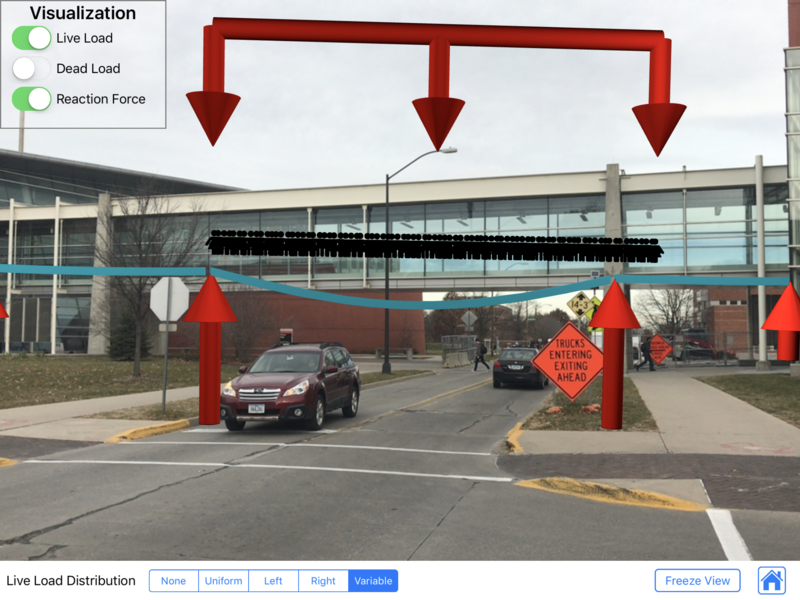 This is part of an NSF-funded project to study using augmented reality in education. More info about the project can be found here. My primary contribution to the project is the development of the app. ©2018 David Wehr. All rights reserved.